Instagram, the popular platform for curating a persona and provoking jealousy, announced some changes yesterday: the app will be moving away from a purely chronological newsfeed to test out an algorithmically sorted feed. According to the company, you might start seeing the photos and videos ordered by “the likelihood you’ll be interested in the content, the relationship with the person posting and the timeliness of the post,” instead of the original order that they were shared. Facebook, Instagram’s parent company, made a similar move back in 2009, before it pivoted to its current use of reminding us of birthdays and people’s dads’ opinions on the issues of the day. And last month Twitter decided to push certain tweets—or trending “moments”—up to the top of your feed if you hadn’t checked in for a while. Not everyone is pleased. A petition on Change.org demanding at least an opt-out from this re-ordering feature has 24,000 signatures, many more than the petition about breaking barriers to girls’ education that started around the same time. The comical petition’s earnestness isn’t surprising given the massive use of the apps. Facebook, the most used social platform in the world, reports 1.59 billion monthly active users, and Instagram clocks in at 400 million; users increasingly take to these social platforms as their primary channels for content—rarer and rarer is the bird who dutifully refreshes the NYT homepage. So how these platforms decide to lay out their spread—by time, by algorithm—dictates how a sizable chunk of the world will digest its day. I am not pleased either. The posts will still be time-stamped, but the re-ordering meddles with my consumption habits. Yes, the stakes are lower for Instagram, which at least in its current form enables pettiness and prettiness more than time-sensitive news or commentary. But as a casual user, I like to open up the app and learn exactly what my friends are doing at any given time, so that the cruel knife of FOMO may be driven in deeper still. I don’t want to receive a jumbled stew of posts and have to retroactively sort out when I was supposed to feel bad about being excluded from which thing. I don’t want to have to sort out whether you ate the bougie, unflatteringly photographed thing for brunch or for dinner. I don’t want ambiguity over whether that selfie documented your morning-face or your night-face. Instagram’s goal is surely user retention, but if Twitter is a cautionary tale, there’s a strong likelihood users won’t enjoy being spoon fed things they like. Instagram founder Kevin Systrom has an explanation for this, naturally. 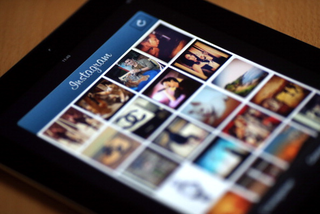 “On average, people miss about 70 percent of the posts on their Instagram feed,” he told the New York Times. “What this is about is making sure that the 30 percent you see is the best 30 percent possible.” We get it. But isn’t it funnier to watch the lunacy of a Russell Wilson and Ciara photo shoot trickle out over an hour of your feed, instead of just one most-liked picture aggregated up to the top? There’s something soothing about trawling through a day’s worth of Instagram. It’s a conveniently packaged 24-hours in review: Seeing the passage of the day play out in reverse as I thumb-surf my way down, feeling the night ease back into day. Maybe some of us are sentimental enough to get nostalgic about the same calendar day.